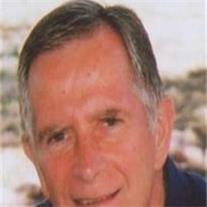 Glen O. Dixon, 73, passed away peacefully Dec. 6, 2010. Glen loved hiking, camping, service to others, and most of all his family. He was truly a kind and “gentle man”. He is survived by his loving wife Genevieve, 7 children, Tammy Gunderson, Becky Self, Lori Robison, Patty Wright, Kathy Whiting, David and Kevin Dixon, 33 grandchildren, 3 great-grandchildren, and 2 brothers. He was preceded in death by his parents and 1 grandchild. Services will be held at the LDS church on 810 E. Lehi Rd., Mesa, AZ, on Monday, Dec. 13, at 10:00.